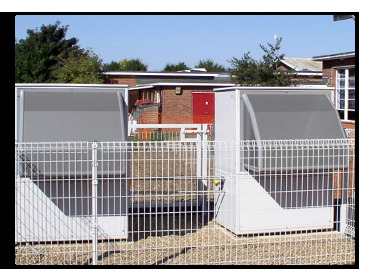 ELCO UK, formerly MHS Boilers, has supplied two 24kW AEROTOP® T air source heat pumps to Heath Primary School in Kesgrave, Ipswich. The heat pumps have been installed outside a new standalone teaching block to provide central heating services for six classrooms, two group rooms and toilet facilities. The new school building project was designed to create a healthy learning environment with excellent sustainable credentials for an extra 210 pupils. With the cost of delivering mains gas prohibitive, the ELCO heat pumps were specified due to their ease of siting and installation. Combined with a low temperature heating circuit utilising underfloor heating, as well as improved air tightness regulations, the heat pump heating system has been designed to greatly minimise utility costs. The heating equipment was specified by Ipswich-based design and property consultants, Concertus. This entry was posted in Allgemein on 15. January 2014 by alexandra.